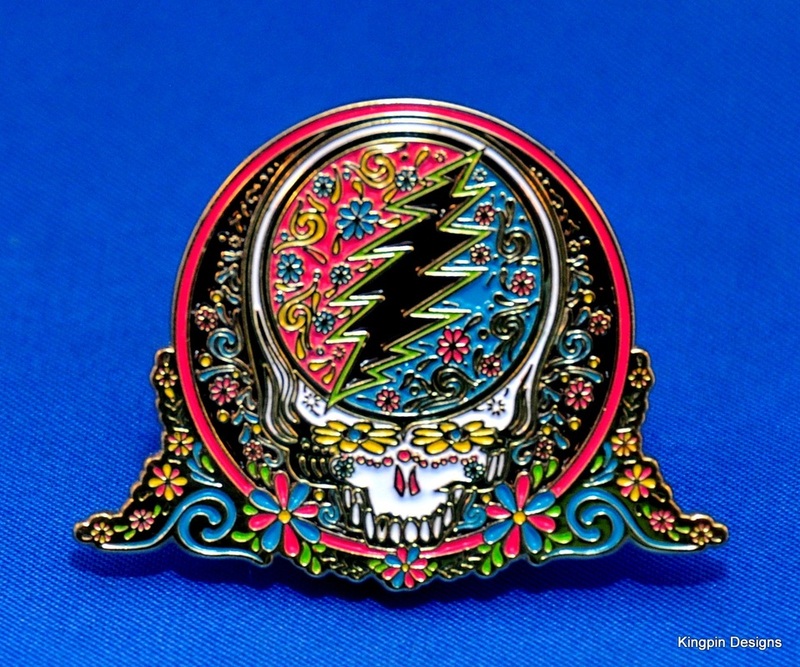 Kingpin Designs is pleased to present a collaborative series of pins produced in conjunction with Little Hippie Apparel and featuring the artwork of Taylor Swope! 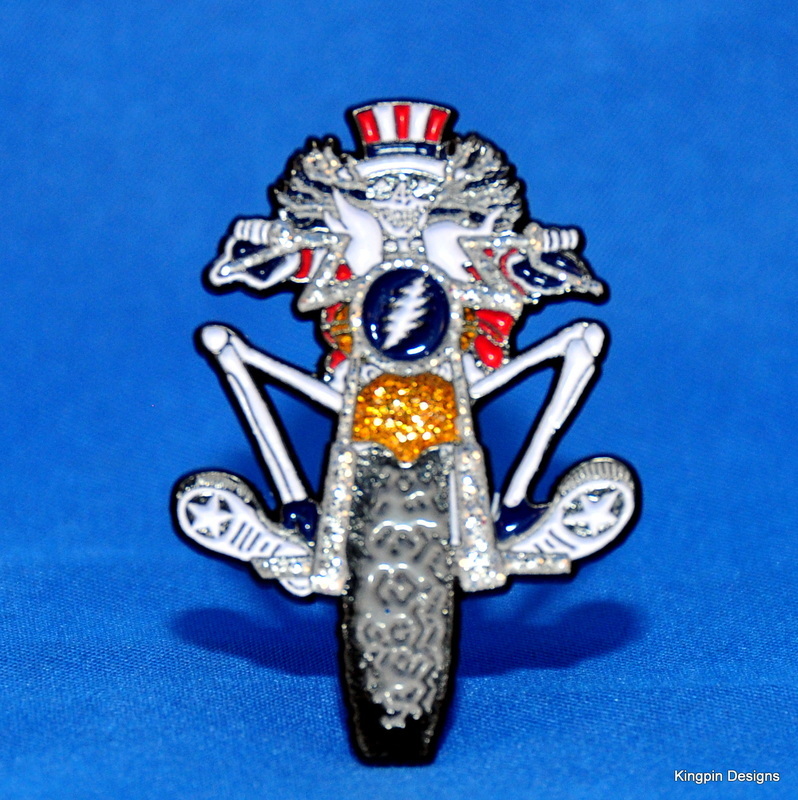 Taylor has been a licensee of the Grateful Dead for over 10 years, producing some of the finest clothing for both children and adults. Please be sure to check out the entire Little Hippie line of onesies, t-shirts, hoodies, blankets and more at www.littlehippie.com. 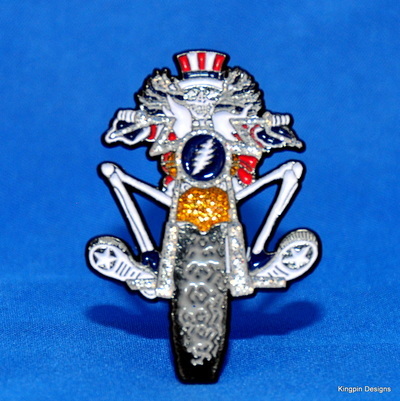 All Grateful Dead related artwork is approved and licensed through Grateful Dead Productions. 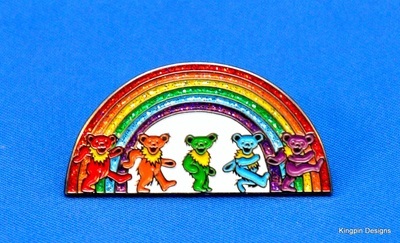 Beautiful set of 4 pins or available as individual pins. 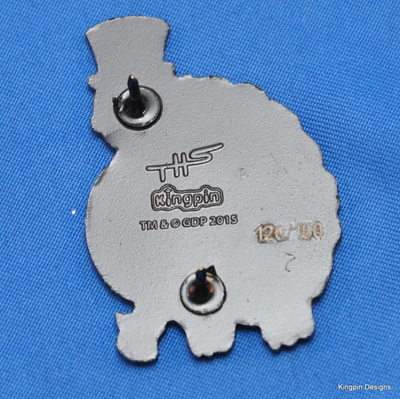 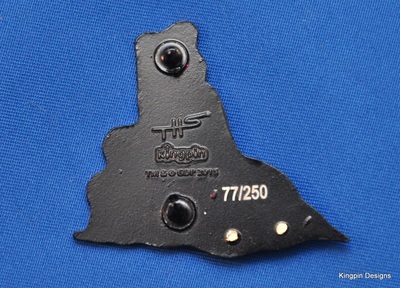 Each pin measures about 1 inch across and are limited to 100 of each color. Show someone how much they mean to you, or show the world how much the music means to you with this beautiful pin. 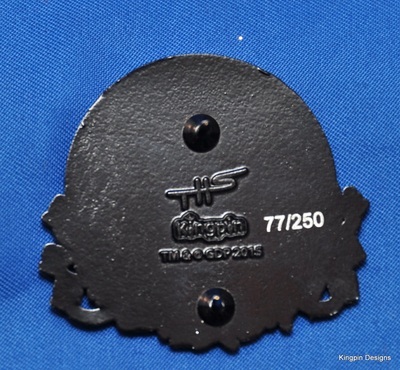 1.5 inches , soft enamel, finished in black nickel, 2 posts, stamped with Taylor Swope's signature, the Kingpin Designs logo, the GDP legal disclaimer, and individually numbered out of 150. 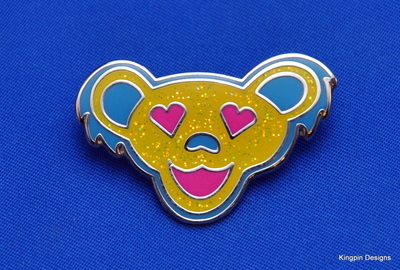 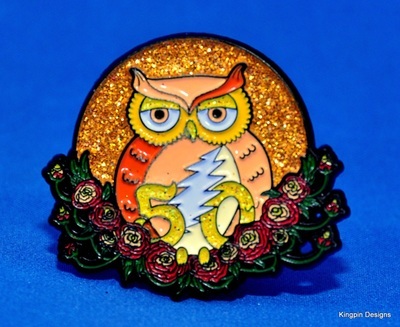 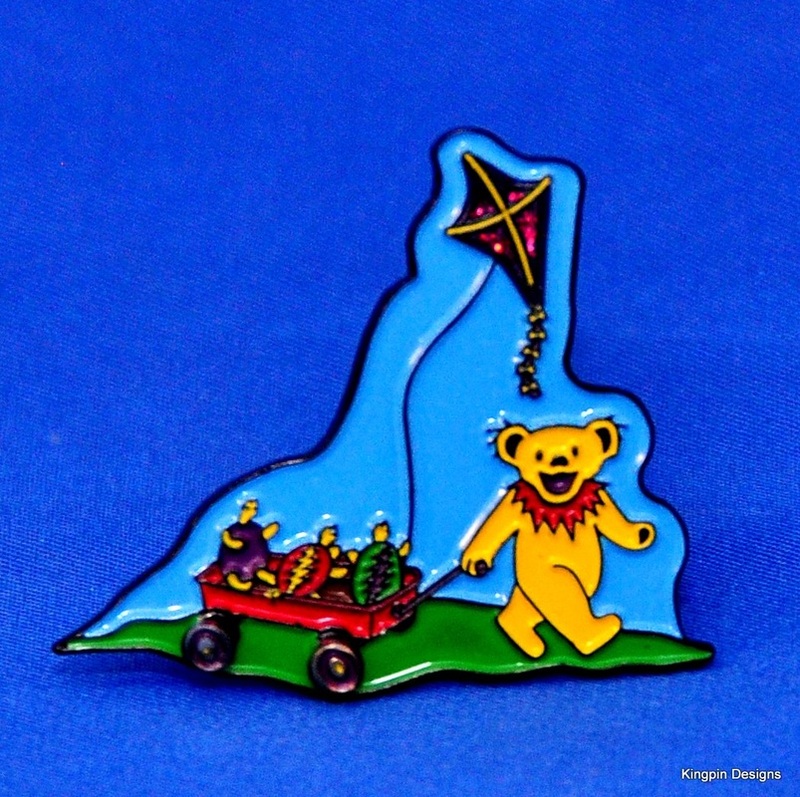 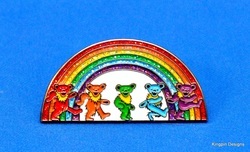 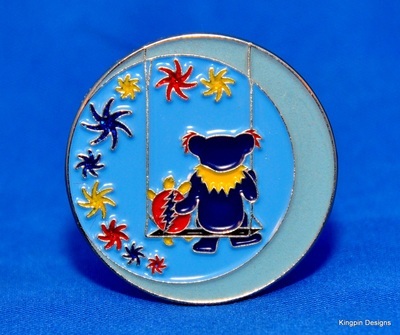 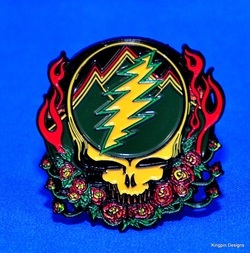 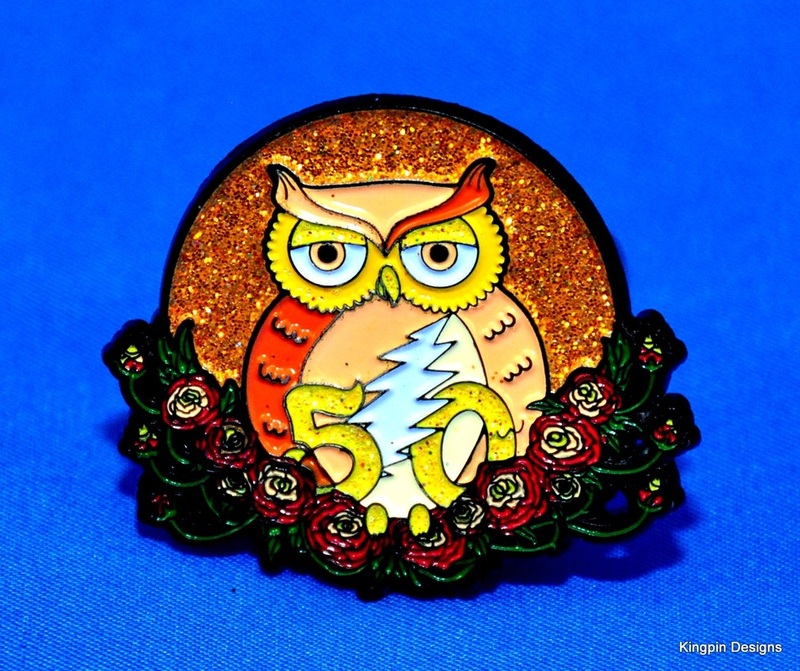 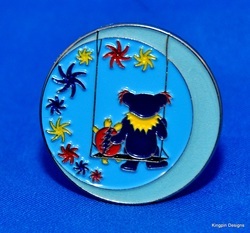 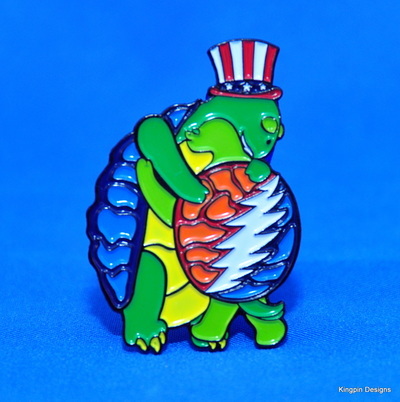 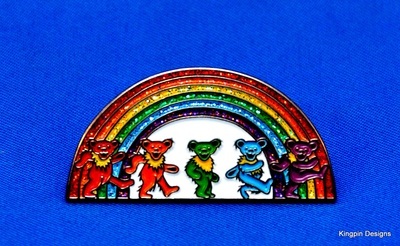 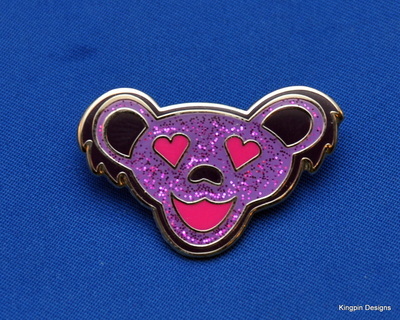 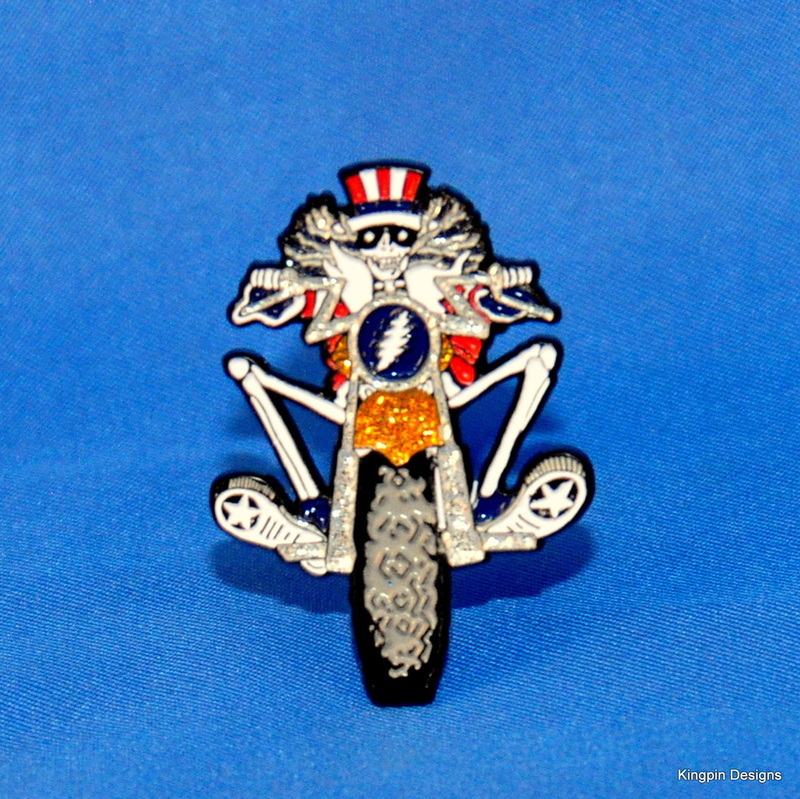 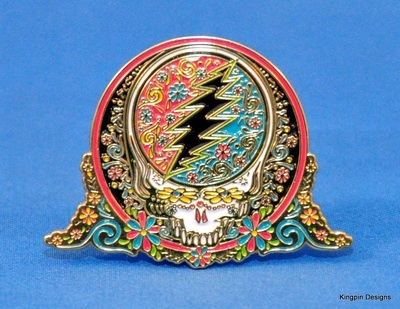 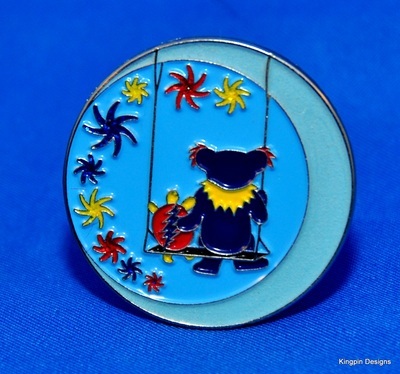 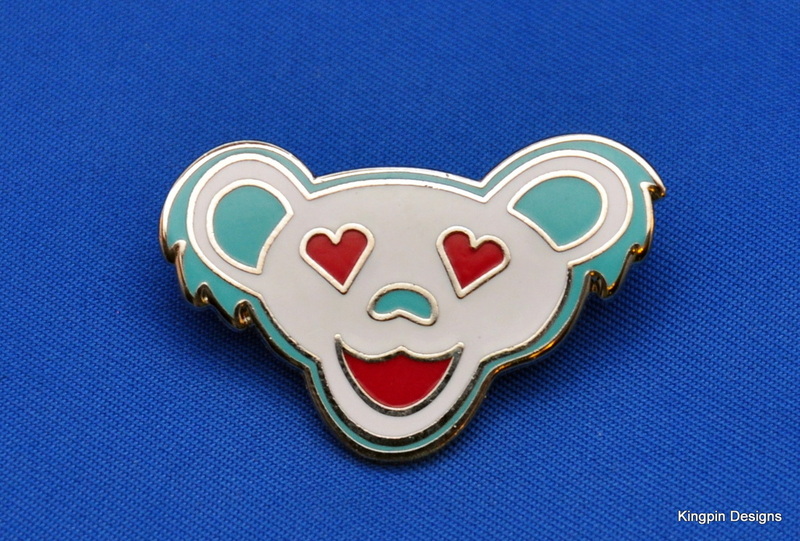 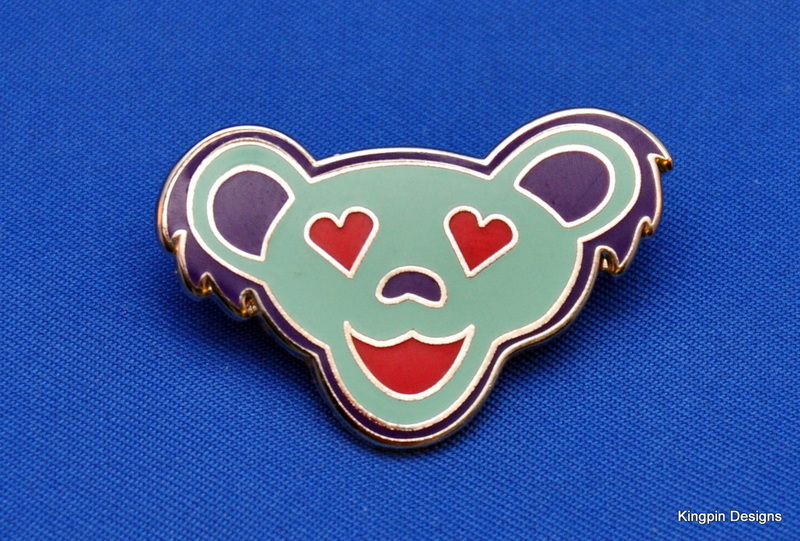 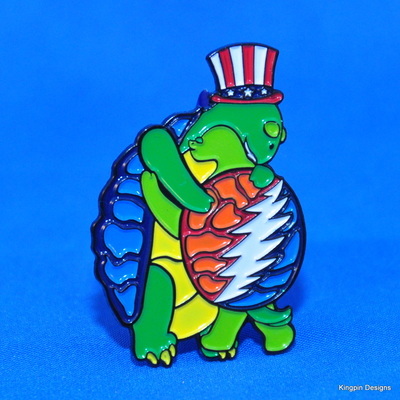 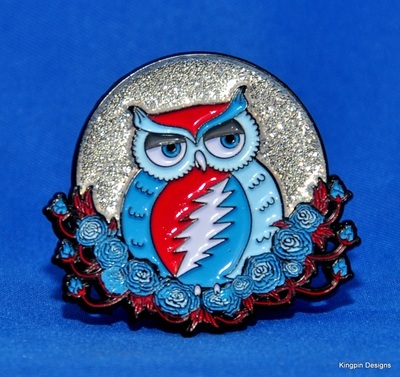 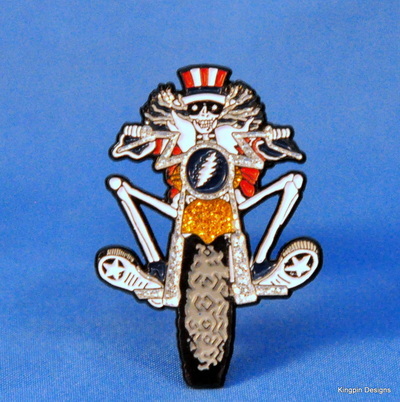 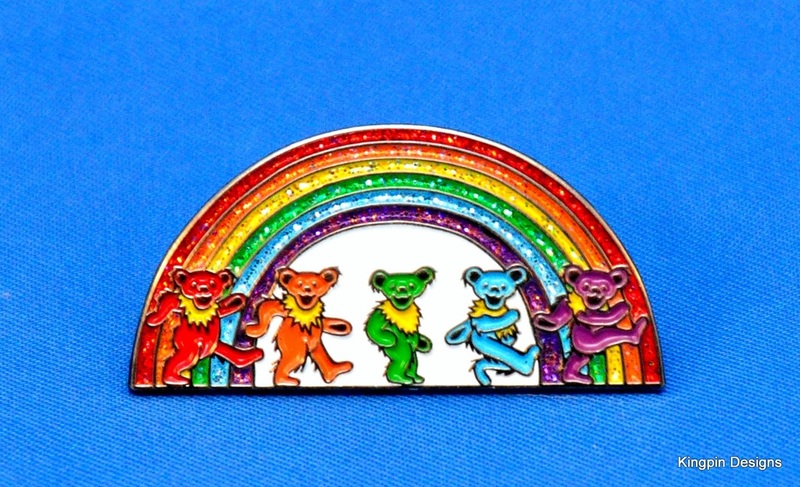 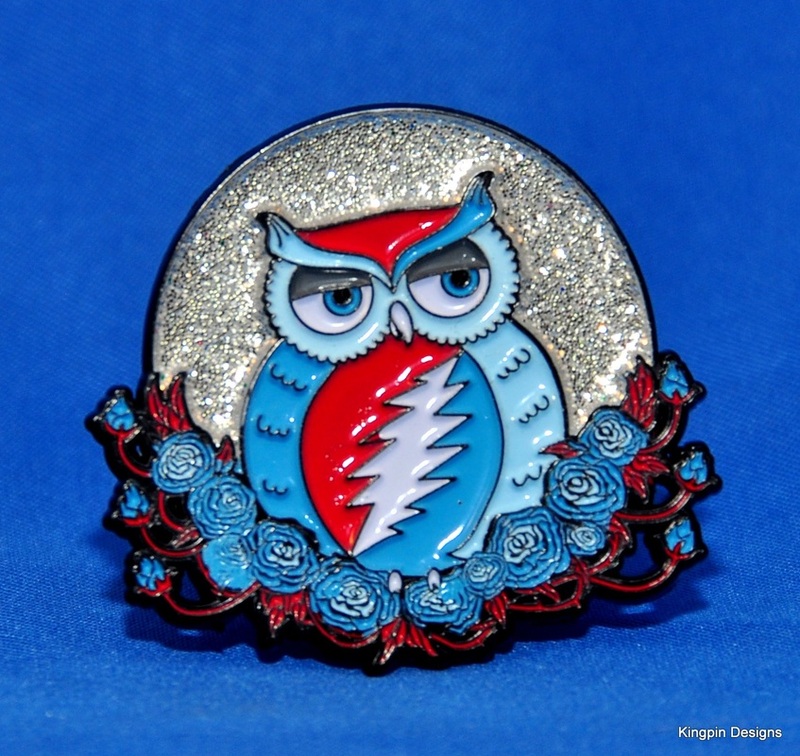 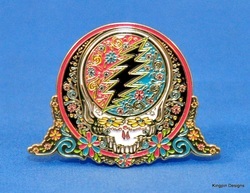 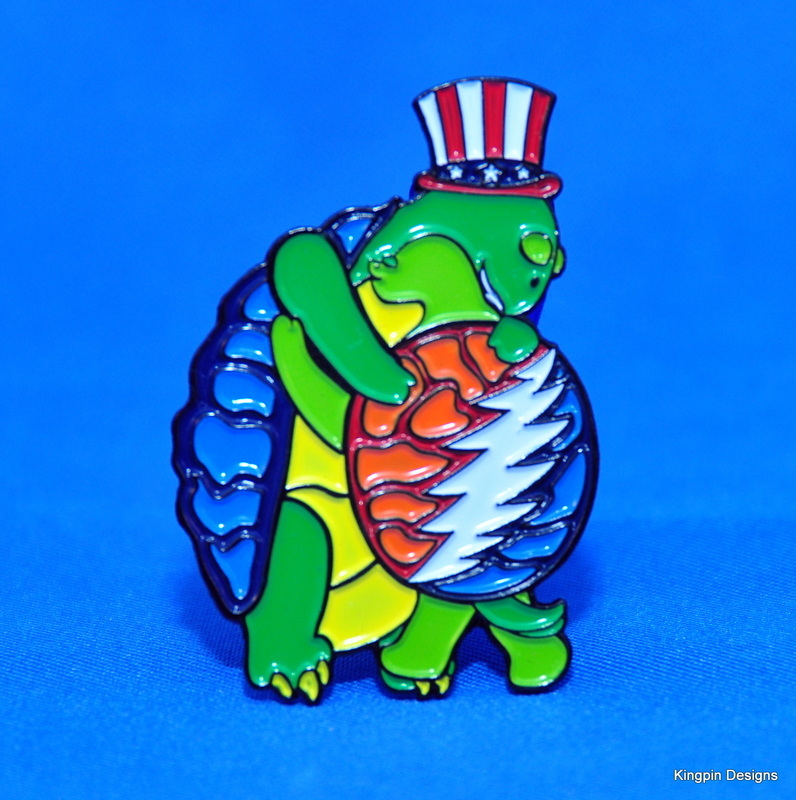 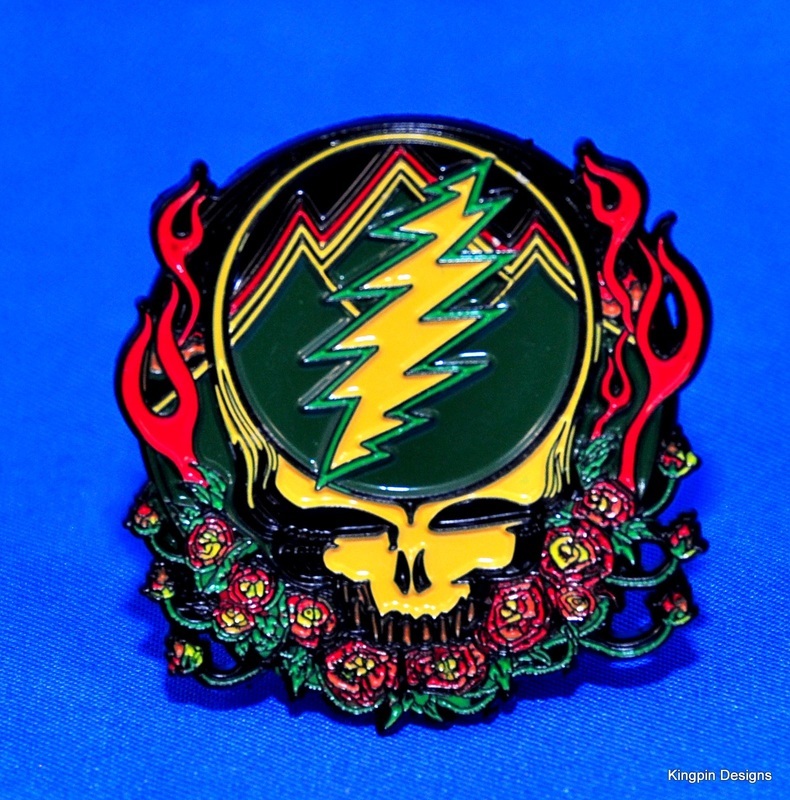 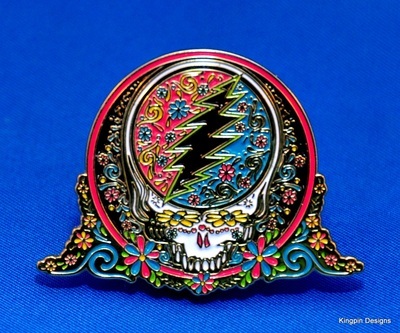 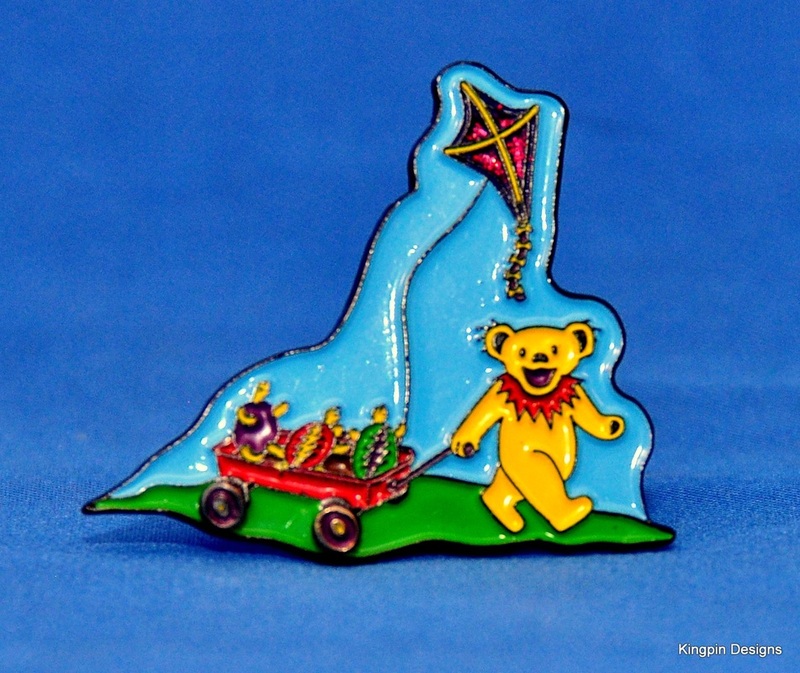 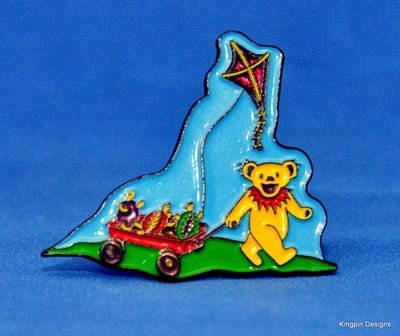 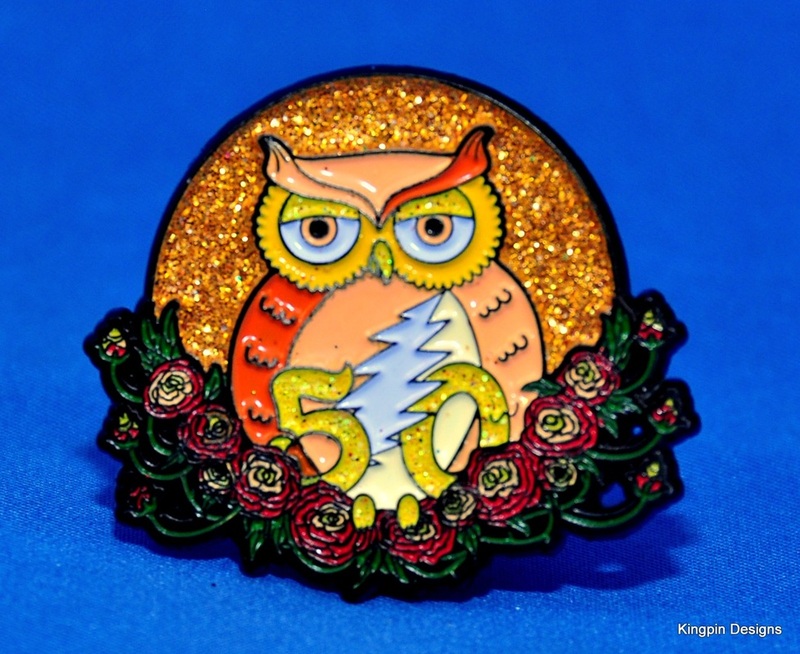 One of the Grateful Dead's most iconic mascots comes to life in this beautiful pin! 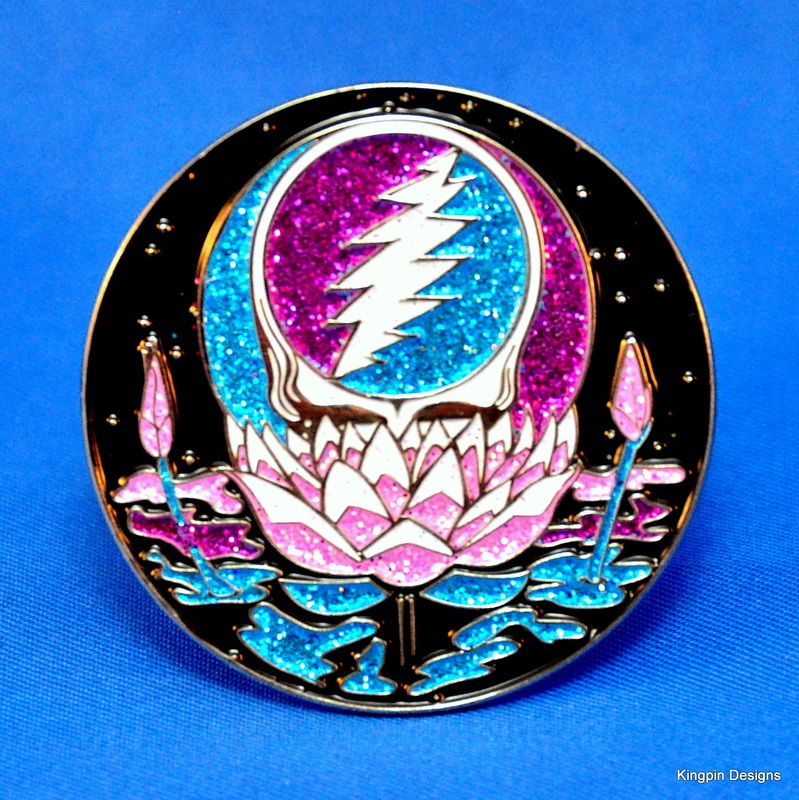 This pin is absolutely stunning. 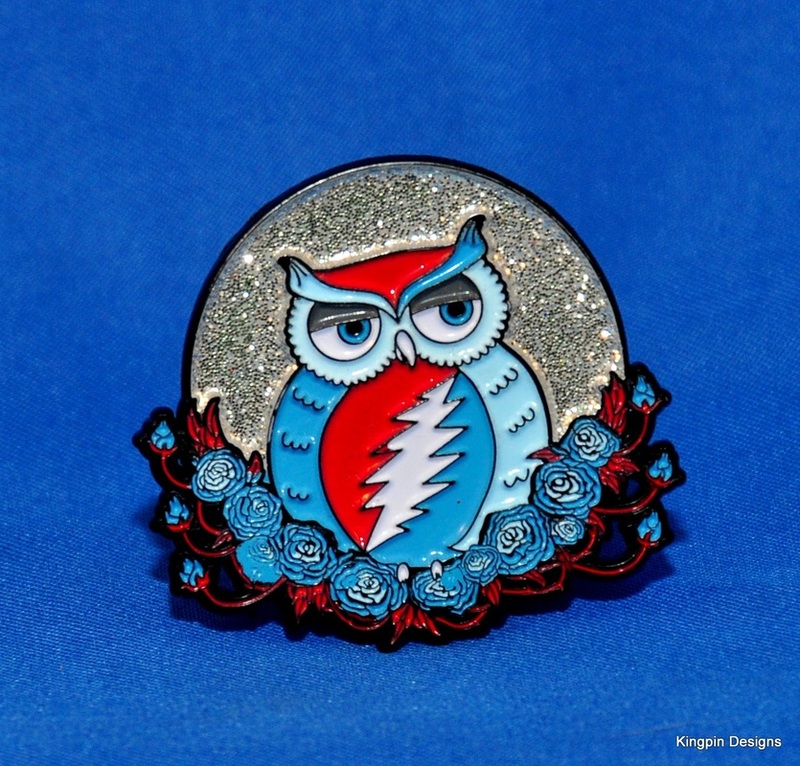 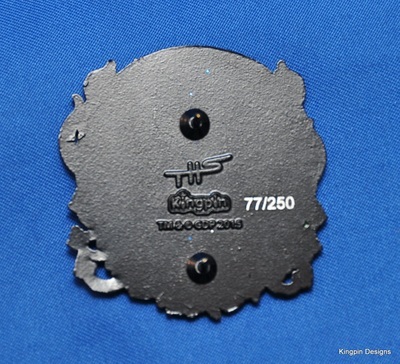 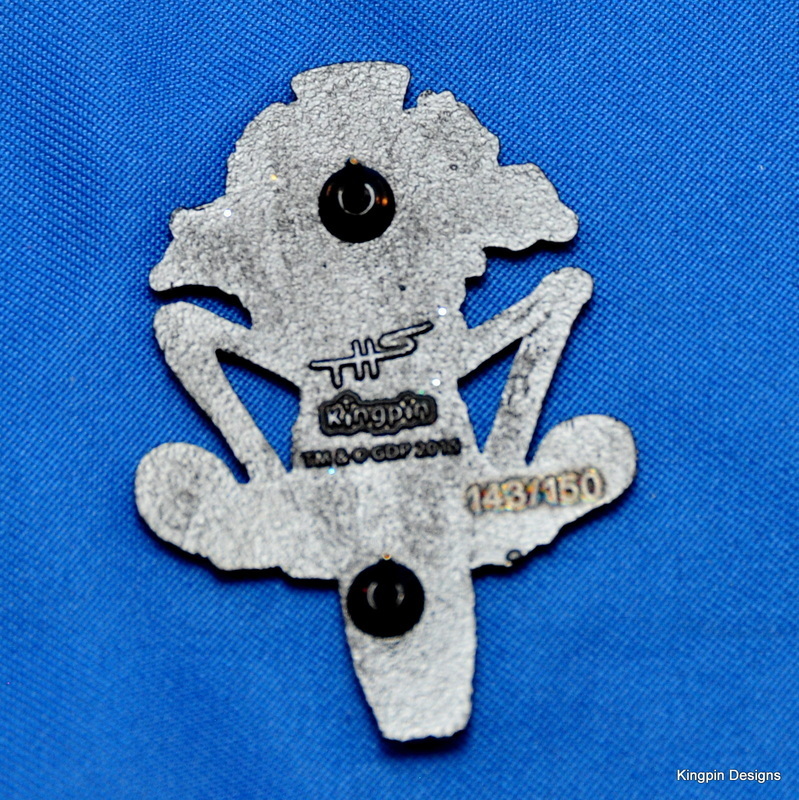 The glitter and black background combine to create depth and sparkle, and it is easily one of the most instantly eye grabbing pins produced by Kingpin Designs. 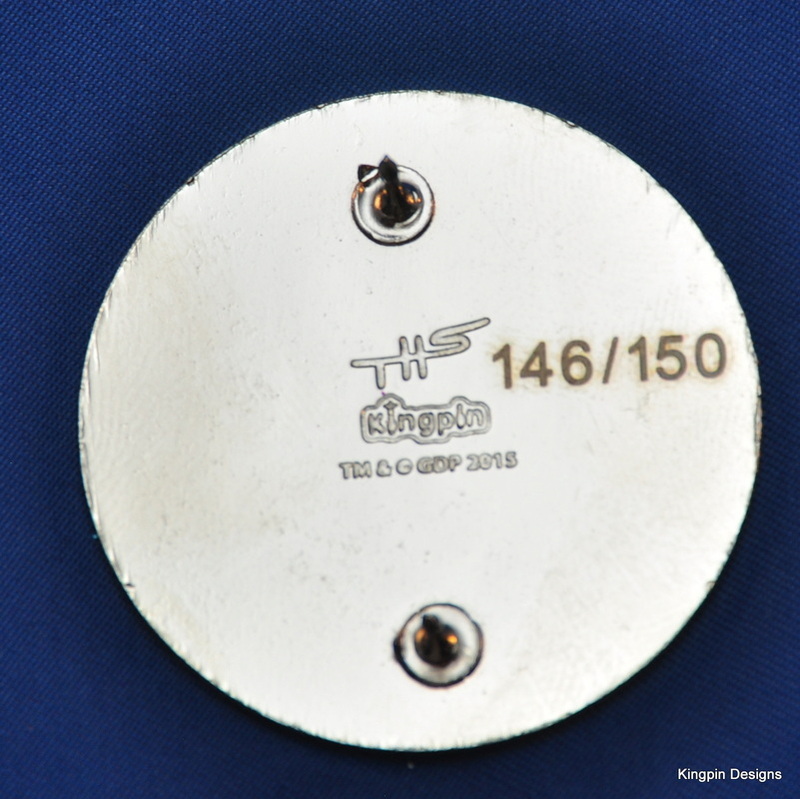 1.5 inches , soft enamel, finished in polished silver, 2 posts, stamped with Taylor Swope's signature, the Kingpin Designs logo, the GDP legal disclaimer, and individually numbered out of 150. 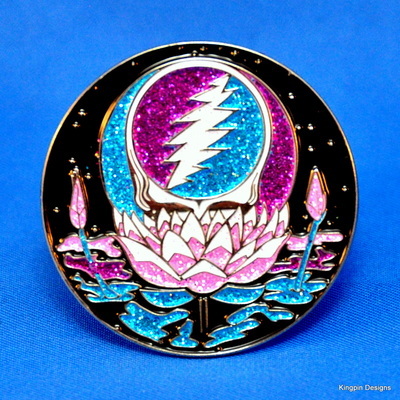 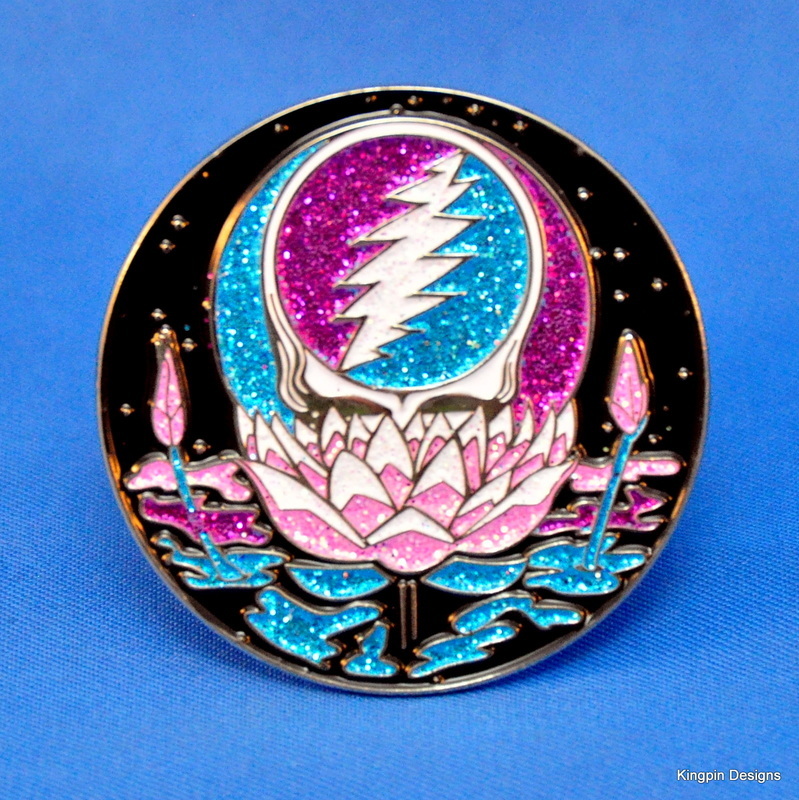 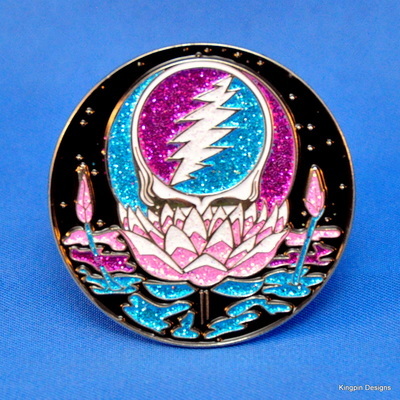 The Individual pins of the Lotus Stealie are sold out. 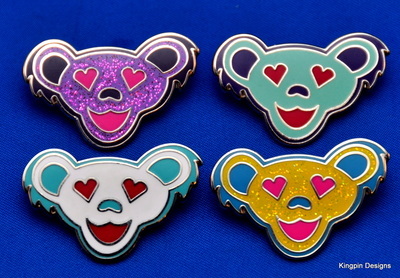 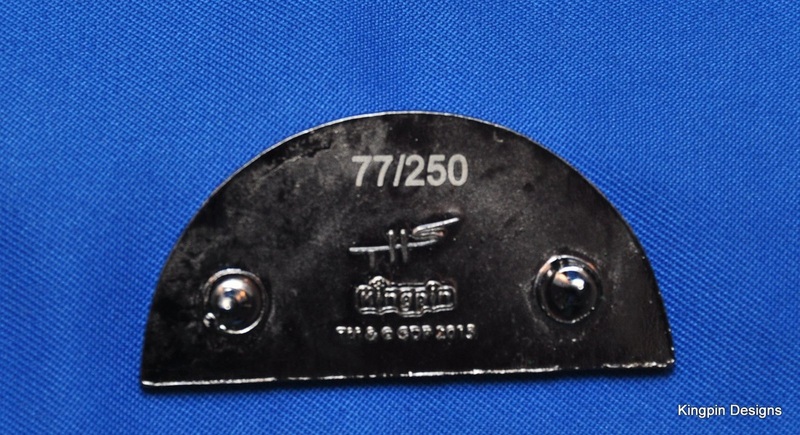 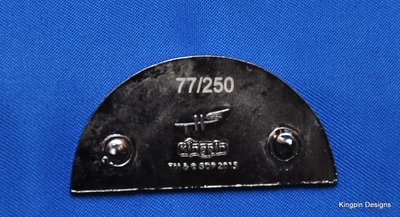 They are still available as the 3 pin sets above. 1.5 inches , soft enamel, finished in black nickel plating, 2 posts, stamped with Taylor Swope's signature, the Kingpin Designs logo, and individually numbered out of 250. 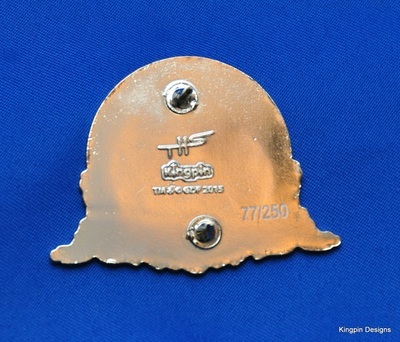 1 5/8 inches , soft enamel, finished in polished gold plating, 2 posts, stamped with Taylor Swope's signature, the Kingpin Designs logo, and individually numbered out of 250. The little wheels spin!! 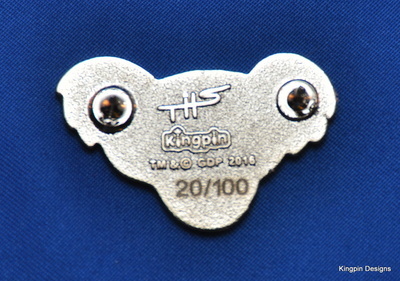 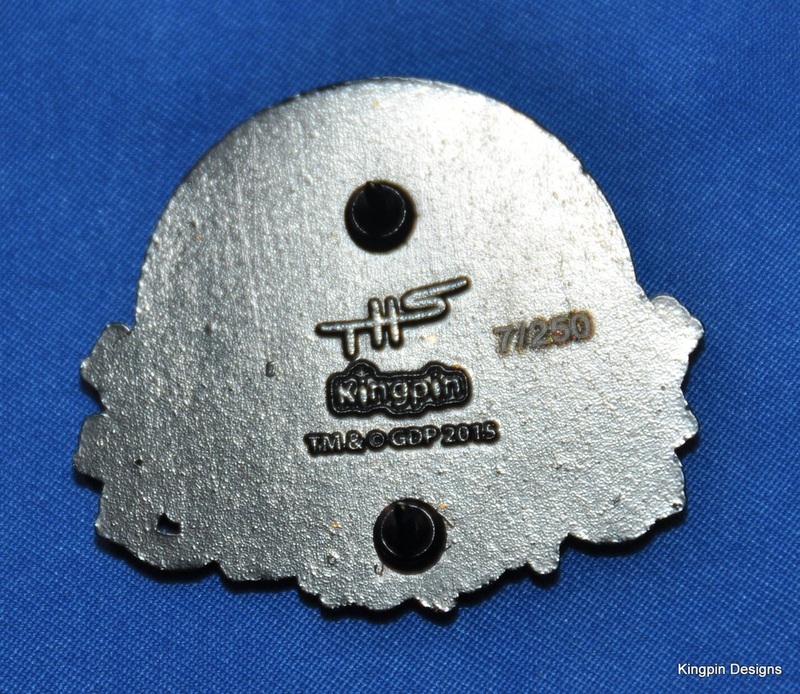 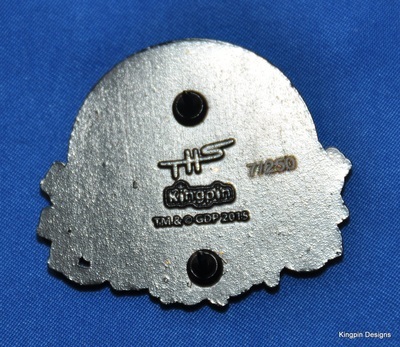 1.5 inches , soft enamel, finished in black nickel plating, 2 posts, stamped with Taylor Swope's signature, the Kingpin Designs logo, and individually numbered out of 250. 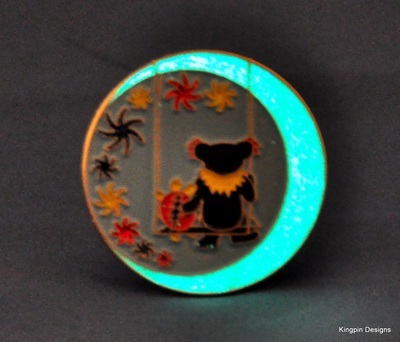 1.5 inches , soft enamel, Glow-in-the-dark Moon, finished in black nickel plating, 2 posts, stamped with Taylor Swope's signature, the Kingpin Designs logo, and individually numbered out of 250.